Start pumping your playlists with golden oldies and get set for some absolute scenic crackers, we’re going on a road trip. No doubt you’re a sucker for ditching the big smoke and taking a quick (read: long) drive every now and then, so we’ve gone and found some bitumen beauties you’re going to love. We’re bringing you endless highways, winding mountains ranges, coastal beauties, a few river crossings, rock tunnels, valleys, farmlands and one helluva waterfall safari. Sydney, here are nine beautiful road trips you just have to take in NSW. Mountains upon mountains upon mountains. Yep, the Alpine way is one helluva beauty and will set you up to witness picturesque valleys plus there is a heap of walking trails, fishing stops and even mountain biking areas for you to take advantage of. This drive joins Jindabyne in the southern region of Kosciuszko National Park and takes you through the forests of the Snowy Mountains region. This road trip is an oldie but a goodie. Put this one in your GPS for when you’re strapped for time, but you’re seriously craving some solid road trip time. Moss Vale Road will see you winding your way through the Southern Highlands’ rainforests and valleys. This road trip will no doubt be studded with a number of hairpin turns but you’ll bypass Nowra, Bowral, Fitzroy Falls and of course Kangaroo Valley. If you haven’t made a trip down to Mollymook, you should seriously fill your car with gas right now and get to it. Whether you take the staple Grand Pacific Drive (boasting surf views for days) down to this gem, or simply burn some rubber around the Mollymook-Ulladulla region, you’re in for a seaside treat. And on a side note, the drive from this lil’ town to Cupitt's Winery is an absolute winner if you’re a sucker for picturesque white fences, rolling hills and all the farm animals ever. Think 185km worth of national parks, waterfall views, lush AF rainforest and lofty lookouts. This drive starts at Coffs Harbour and winds all the way to Armidale, taking you through the New England Tableland. Make sure you stop off at Crystal Shower Falls (there’s a kickass suspension bridge!) and the epic Wollomombi Falls which are a cheeky 220m high. Spin yourselves out to the good ol’ outback of NSW. You’ll want to split this one up because it’s 730km of pure country goodness. Just a warning, the Darling River Run isn’t a point A to point B kind of drive so some basic map-reading skills are probs necessary (and we’re not talking the Google maps kind). It starts at Walgett which is around an eight-hour drive from Sydney and trails all the way down to the border town of Wentworth. A side trip to Lightning Ridge is a must, not only is it the opal capital of Australia but it’s also home to some awesome outdoor bore baths, meaning you can soak under the stars. On this road trip, you’ll be trawling through the World Heritage-listed Gondwana Rainforests which means sightings of ancient volcanic plugs, volcanic craters, the iconic Mount Warning, rainforests, plains and rivers. You can get to this drive from Murwillumbah, Lismore, Casino or Kyogle, and if you’re travelling at the right part of the month, you’ll even be in time for the Channon monthly markets. This 290km Mid-North Coast leg is all about the rolling farmland vistas and endless streams. Starting at Gloucester and winding to Walcha, this drive climbs to some pretty high altitude. You can stop off at Barrington River where renting a kayak is kind of a must, and once you hit the heritage town of Walcha, there’s a heap of hiking, camping, bushwalking and horseriding to do, plus you’re in close proximity of Oxley Wild Rivers National Park for all the adventures. The Silver City Highway is your one-way ticket to vast arid scrublands, stony deserts and you might want to take note of the fact you’ll be making a few river crossings on your way (read: a decent 4WD is best to take on this adventure). Linking Buronga to the Queensland border through Wentworth, Broken Hill and Tibooburra, you’ll get a delicious taste of the Far West Region of NSW and its awesome terrain. Head on up to Grafton town for the classic loop trip around Old Glen Innes Road, the former stock route you’ll want to drive along, stat. As a starting point head west out of South Grafton to the Gwydir Highway, followed by a short drive to turn left onto Old Glen. 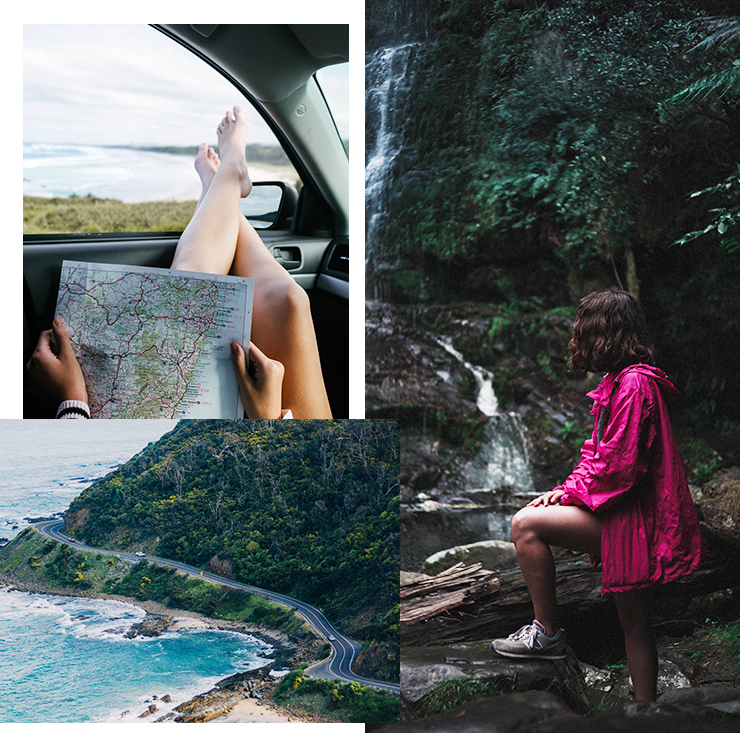 You’ll snake through Baccarumbi, Dalmorton (get some happy snaps at the old butcher shop), a historic tunnel, Jackadgery and heap of perfect spots for all the picnic and swimming antics (we’re looking at you Mann River) your road trip can handle. Here are a few more of our favourite road trips to take this summer.